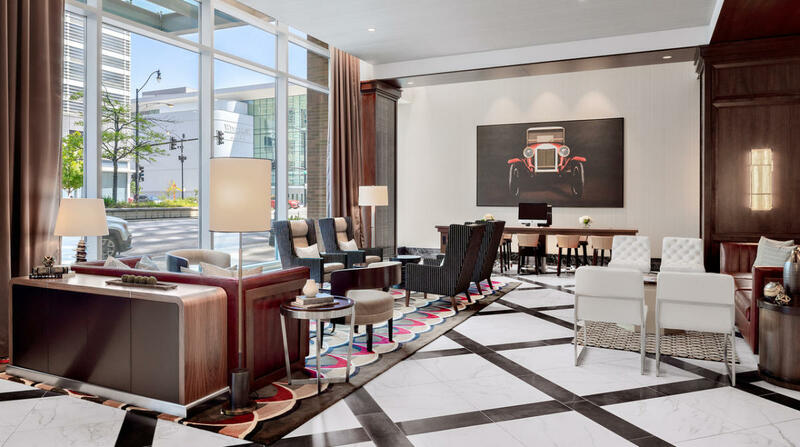 Combining the Hilton Garden Inn, Hampton Inn, and Home2 Suites by Hilton brands under one roof, the first-ever tri-branded Hilton hotel located at 123 E. Cermak Road promises to deliver an unparalleled guest experience in Downtown Chicago. Featuring choice traveler accommodations, value-added amenities, and a direct connection via indoor sky bridge to Chicago’s McCormick Place Convention Center, enjoy the height of comfort, convenience, and productivity when you stay at our Hilton tri-brand hotel. Savor a delicious meal in one of our two on-site restaurants, sample a signature cocktail, or simply enjoy a stunning view of the City from our rooftop lounge. Home to 466 guest rooms and suites, 6,600 sq. ft. of event space, and 3 internationally recognized brands, there’s a little something for everyone at the Hilton Tri-Brand Hotel McCormick Place! Reinventing Select Service and the South Loop with enhanced dining options until one roof... • Rooftop Bar Experience - Located on the 22nd floor of the Hotel, the Rooftop Bar will serve Hilton Garden Inn breakfast in the morning, and offer small placates and unique drinks to go with the sweeping views of Lake Michigan and downtown Chicago in the evening. The Rooftop Bar is being developed by Concentrics Restaurants. there are outdoor patios located on both east and west sides of the bar, with a glass solarium for the Lake Michigan-facing east side to allow for a four-season outdoor experience. • Upscale American/Italian dining restaurant on street level. 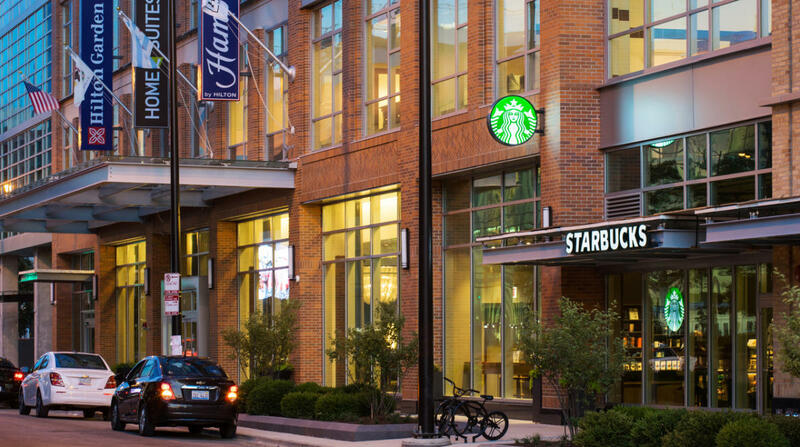 Multi-story space on the corner of Indiana and Cermak • Starbucks - The Hotel will have a full Starbucks in the building, accessible from Cermak Rd and directly from the Hotel lobby. Connected to the McCormick Place West Building, the Hilton's of McCormick Place offer flexible meeting space options... • Meeting Space: 6600 sq. ft. Event space across 6 Meeting Rooms (800-1,200 sq. ft. each) and 1 Boardroom (200sqft) on the third floor near the McCormick Place Skybridge Public Space: • Fitness Center - A fully equipped fitness center is on the second floor. • Pool - A family-friendly indoor pool is located on the second floor.